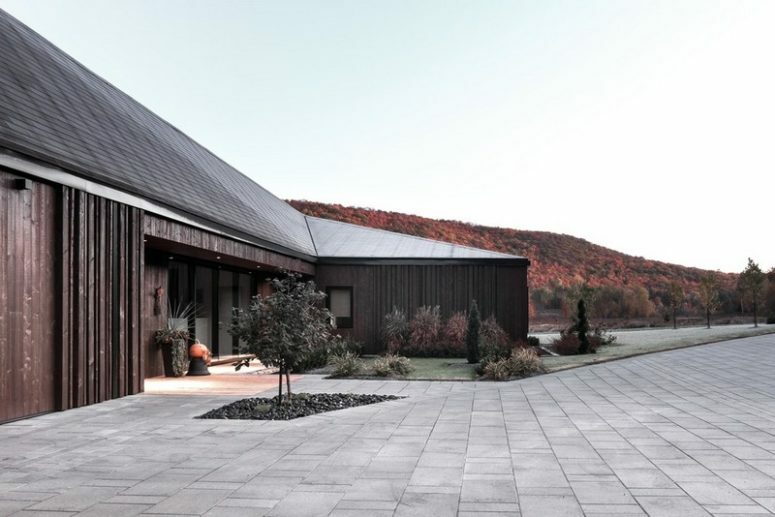 The Vallée du Parc Residence is a reinterpretation of the works of Frank Lloyd Wright. 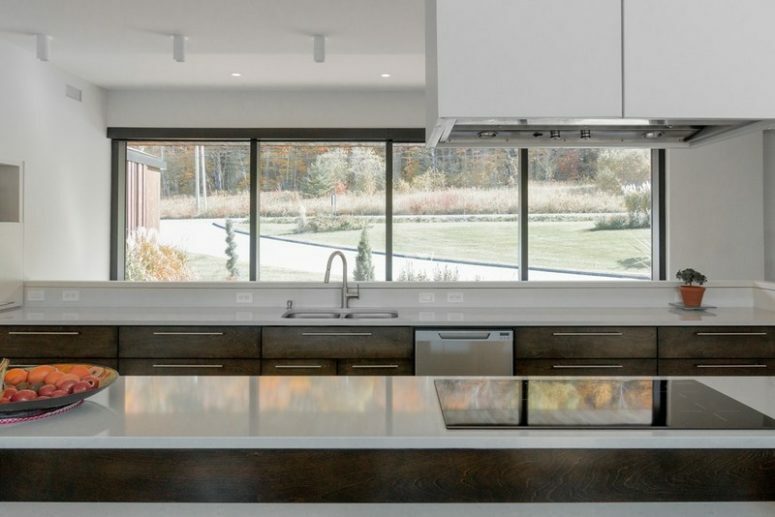 Through its original geometry, textural richness, and spatial connection with its surroundings, the Vallée du Parc Residence initiates an architectural conversation within a delicate natural environment. 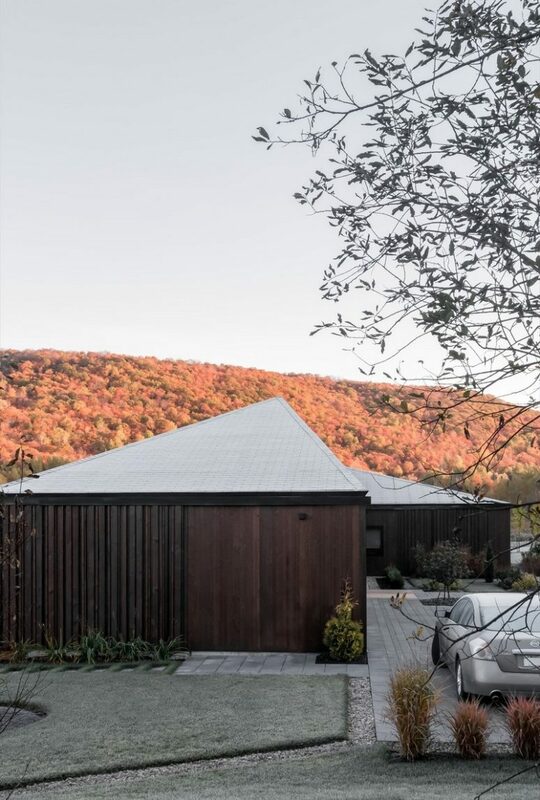 From a distance, the eye is attracted by the complex angular roof that establishes a geometrical reciprocity with the surrounding hills. A series of terraces surround the house and bring it closer to nature. 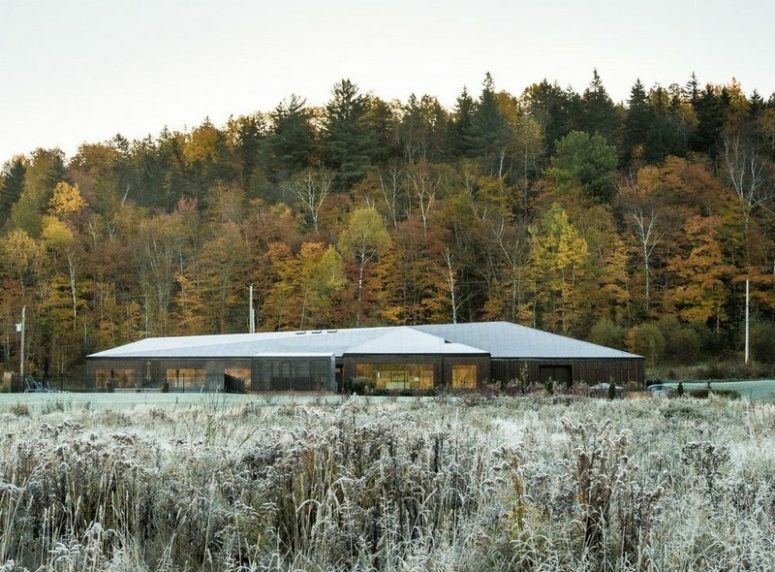 Covered with dark-tinted, rough wood planks of various depths, the exterior walls were designed to offer a dynamic and unique texture defined by the ever-changing natural light throughout the day and the seasons. 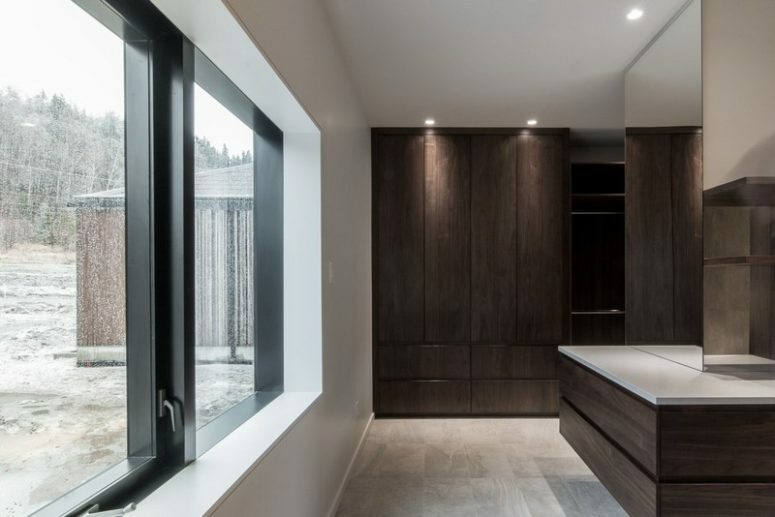 The perceived horizontality of the house is created by the extensive program – six bedrooms, two family rooms, four bathrooms, and three garage spaces – mainly located on one single ground floor. 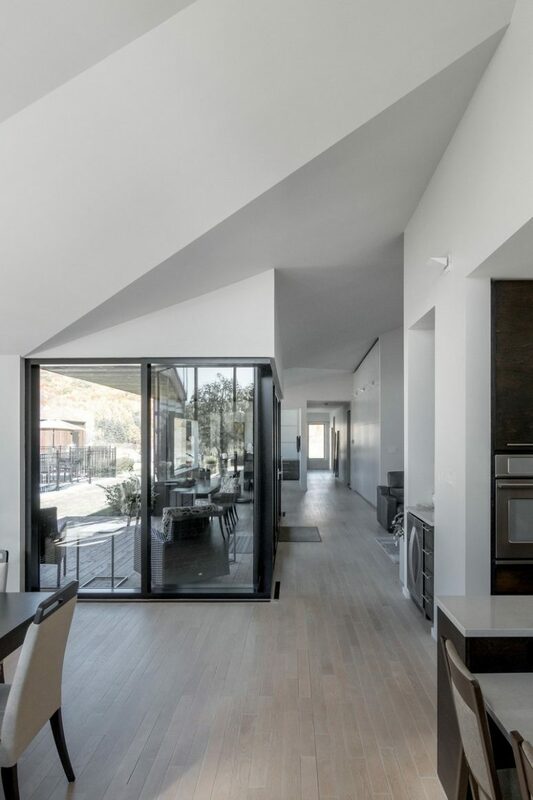 The openings also invite plenty of natural light inside. 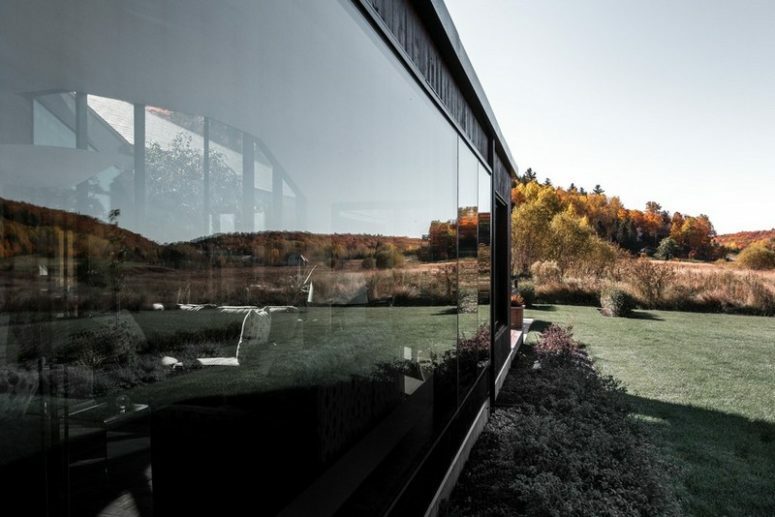 All of the interiors are minimalist, so that attention can focus on the magic outdoors. 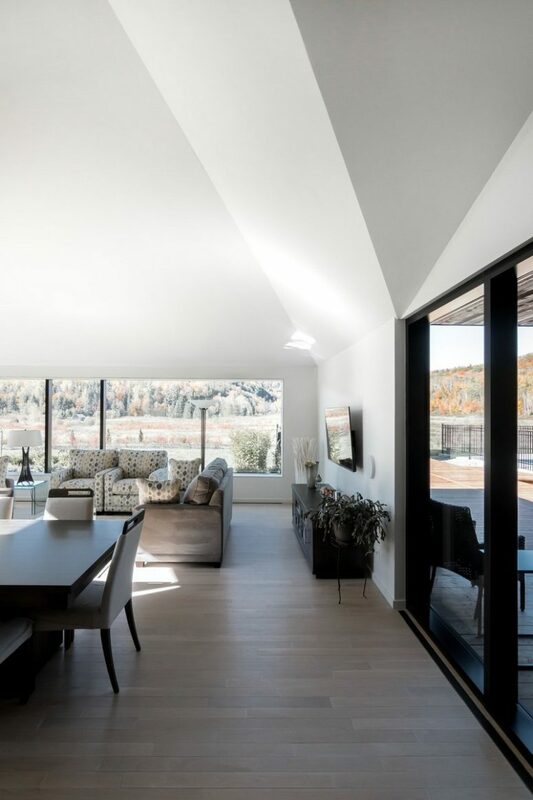 They are characterized by plenty of natural light, amazing views, simple furniture and a light color palette with many natural materials. 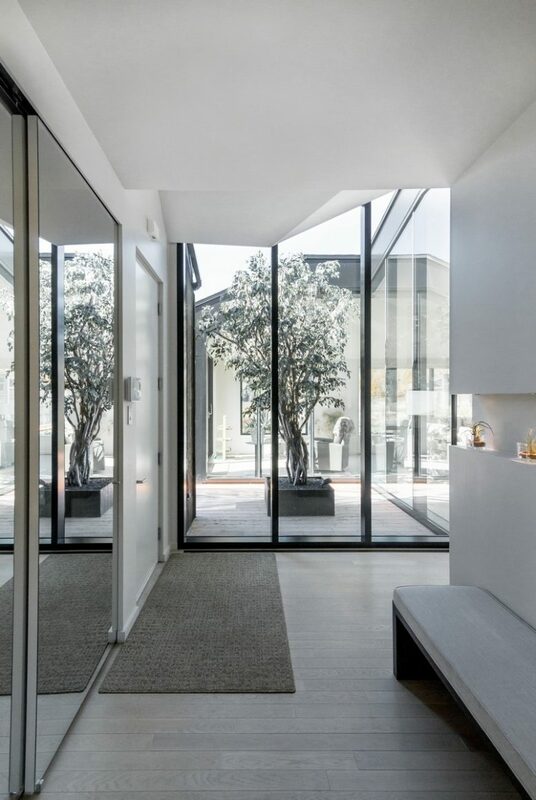 The terraces are furnished with modern comfortable pieces, these are outdoor living and dining rooms, there’s stylish minimalist landscaping and tiled parking lots. Enjoy the cool pics of this home below!